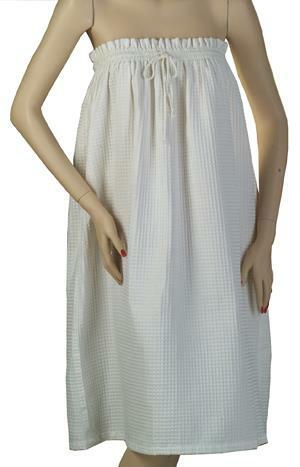 Feature: The well endowed person can appreciate the subtle modesty of this white waffle spa robe. Comfort opens new vistas opening new experiences. Comfort in your surroundings in our unisex plus size robe is no longer the concern it has been. Personal use, spa use or gifting, you and your receipent will now enjoy a completely new vantage point. Usage: Our waffle plus size robe for home and spa use allows a trimuph of satisfaction. Many tangents, home or spa activities, and resort useage can now be tested for new avenues of enjoyment. Danielle supports new enjoyment vistas.